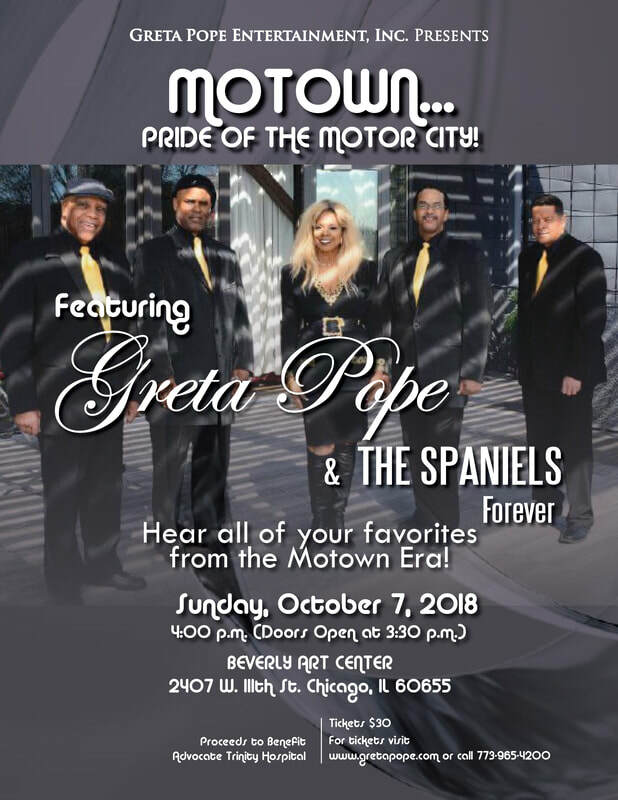 ​Join internationally-acclaimed vocalist Greta Pope and the male vocal group The Spaniels Forever for a fabulously exciting look back at the legendary 1960's Motown Era. Hear the music of Marvin Gaye and Tammi Terrell, Ike and Tina Turner, The Temptations, Diana Ross and The Supremes, Smokey Robinson, Sam Cooke, Martha Reeves and The Vandellas, Curtis Mayfield and so many others. 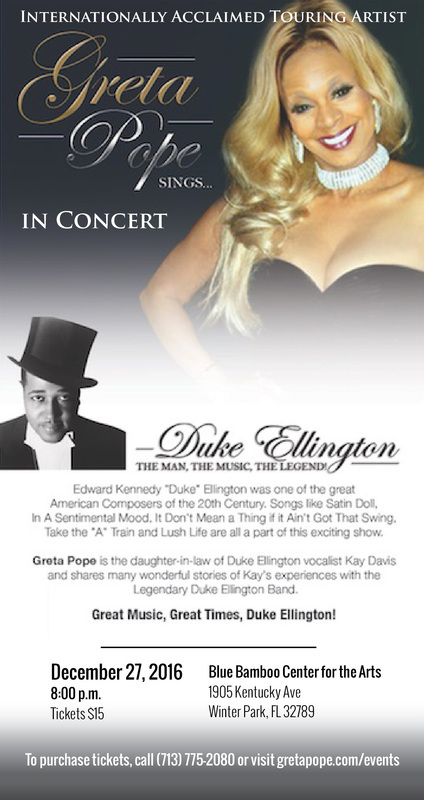 To purchase tickets, please visit Skokie Theatre's website. 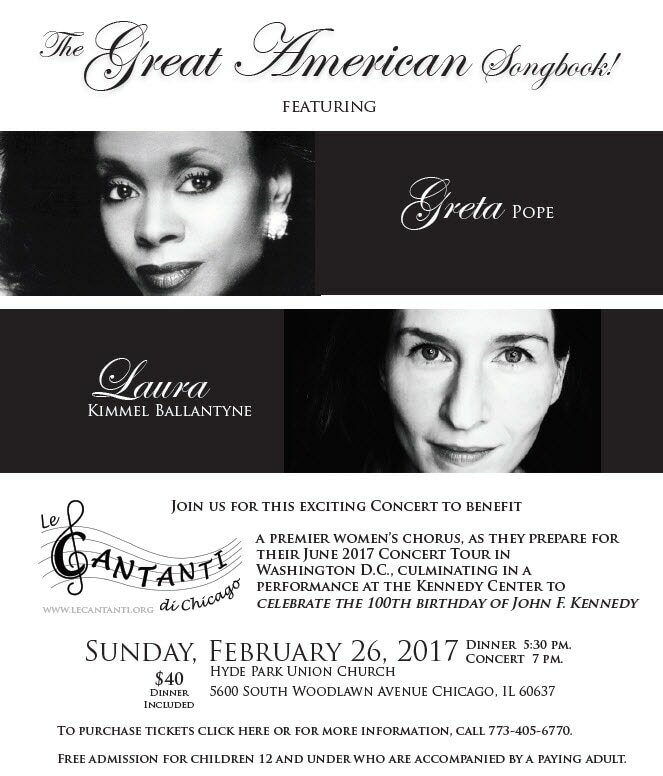 ​Tickets are not available for purchase on gretapope.com. To purchase tickets, please visit Acorn Theatre's website. 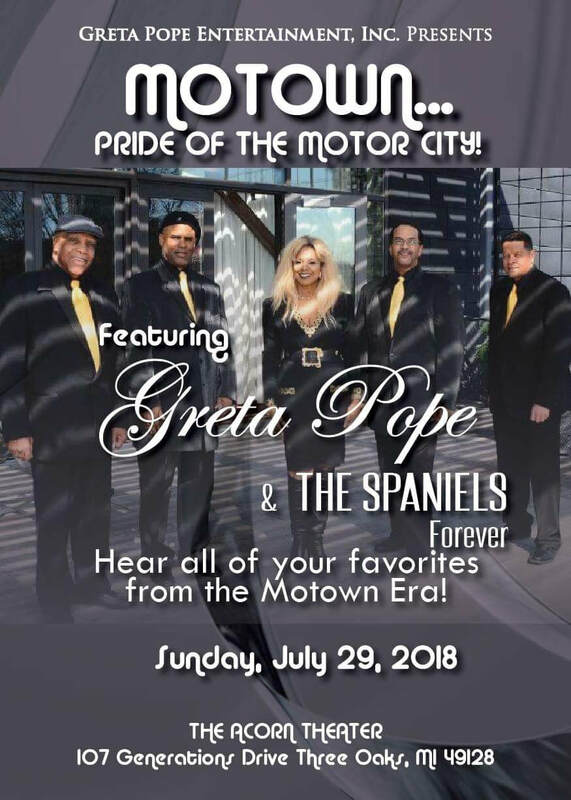 ​Join internationally-acclaimed vocalist Greta Pope for a fabulously exciting look back at the legendary 1960's Motown Era. 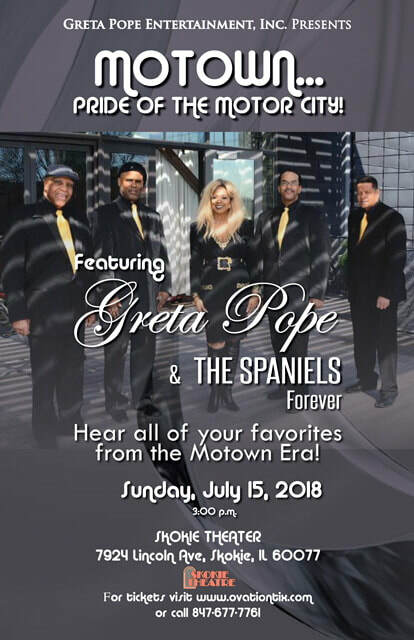 This show features the male vocal group The Spaniels Forever and promises to have you dancing in your seat. Hear the music of Marvin Gaye and Tammi Terrell, Ike and Tina Turner, The Temptations, Diana Ross and The Supremes, Smokey Robinson, Sam Cooke, Martha Reeves and The Vandellas, Curtis Mayfield and so many others. To purchase tickets, please visit Blue Bamboo's website. 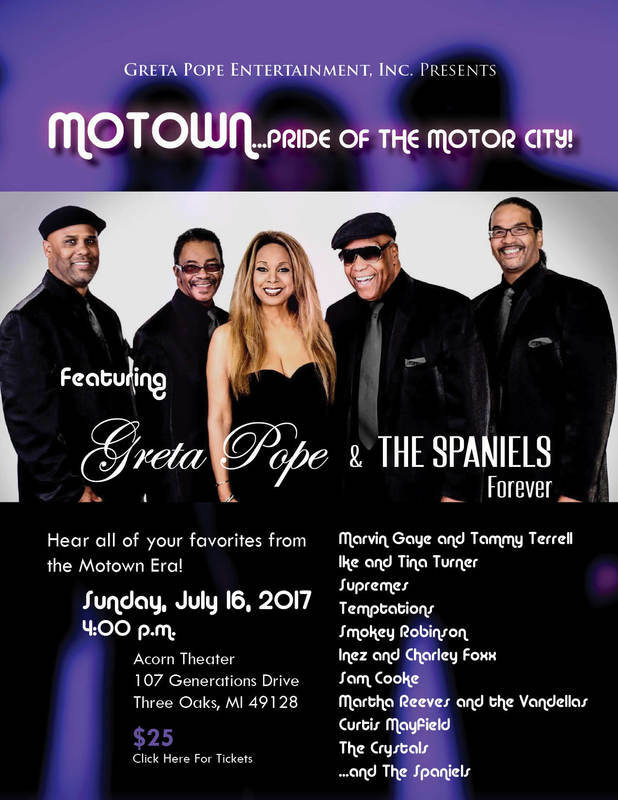 ​Join internationally acclaimed vocalist Greta Pope for a fabulously exciting look back at the legendary 1960's Motown Era. This show features the male vocal group The Spaniels Forever and promises to have you dancing in your seat. Hear the music of Marvin Gaye and Tammi Terrell, Ike and Tina Turner, The Temptations, Diana Ross and The Supremes, Smokey Robinson, Sam Cooke, Martha Reeves and The Vandellas, Curtis Mayfield and so many others. Limited Seating. Tickets are going fast. Get yours today!